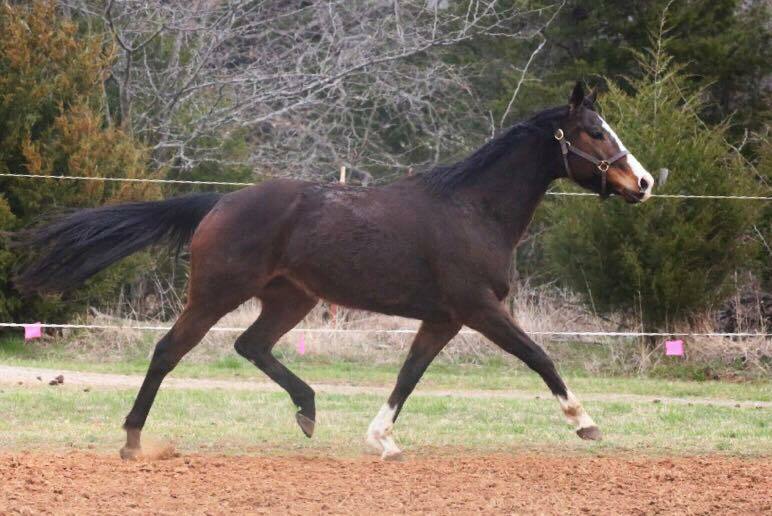 2008 TB mare by The Deputy out of Gold N Fancy (Rhythm). Fancy won $51,000 in her racing career which was ended with a fractured patella. Sired by The Deputy, an Irish TB (well-known for good bone). 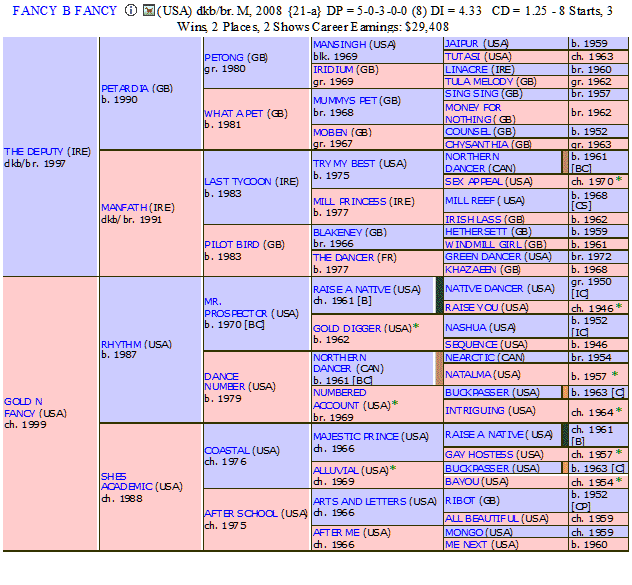 Her dam is a granddaughter of Mr. Prospector and second dam is line bred Buckpasser. Fancy is in foal to the Grand Prix Jumper High Five. 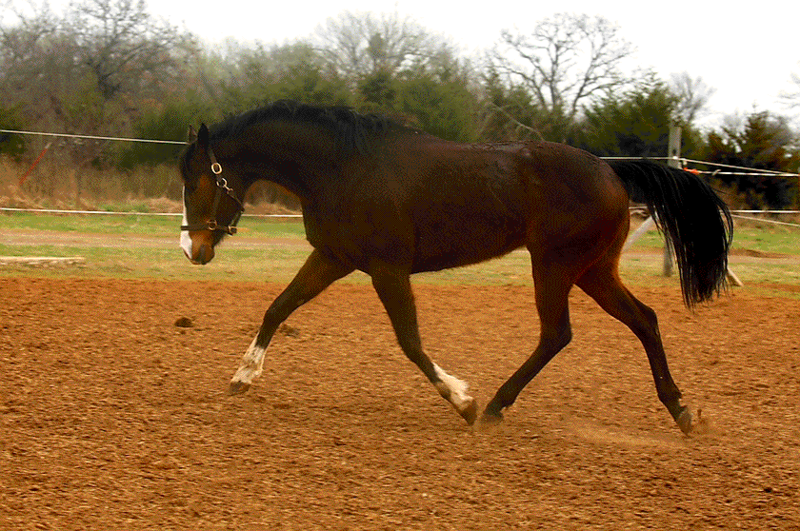 Her foal will be eligible for registration with either OldenbergNA or Westfalen.